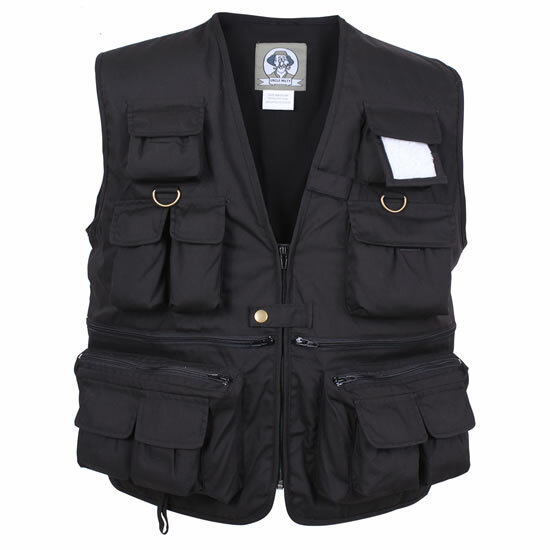 Instead of stuffing your pockets with gear, this survival vest comfortably carries everything you want to take with you and keeps it organized. 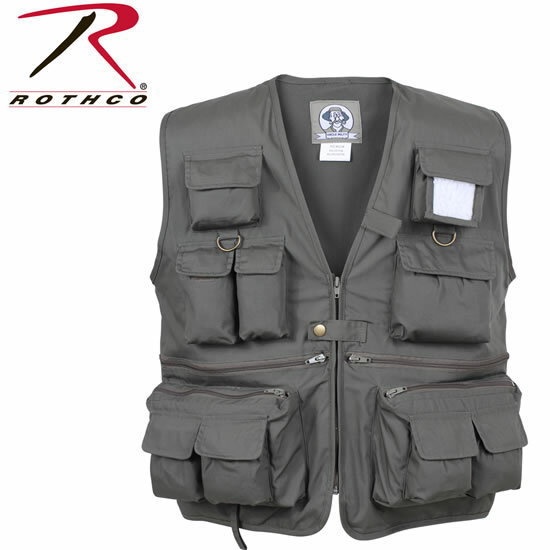 17 Pockets on this Survival Vest! You can configure your kit items for multiple scenarios and the weight of everything will be spread out. Having quick and easy access to your fire starting kit or a rain poncho instead of rummaging through a pack to find something makes it very convenient. A fully stocked vest can be stored in your vehicle and you have a wearable survival kit when you need it. The choice of contents is yours. If you are going to wear this over another coat, you may want to get a size higher so it will fit over your cold weather gear. 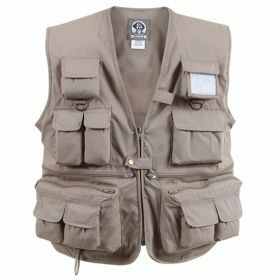 Uncle Milty's Travel Vests Are The Perfect Travel Vest, They Are Great For Touring, Sightseeing, Photography Or Any Adventure Ahead Of You. The Vest Features 17 Pockets, Zip Front With Snap Closure, Inside And Back Pockets, Belt Loop, D-Rings.